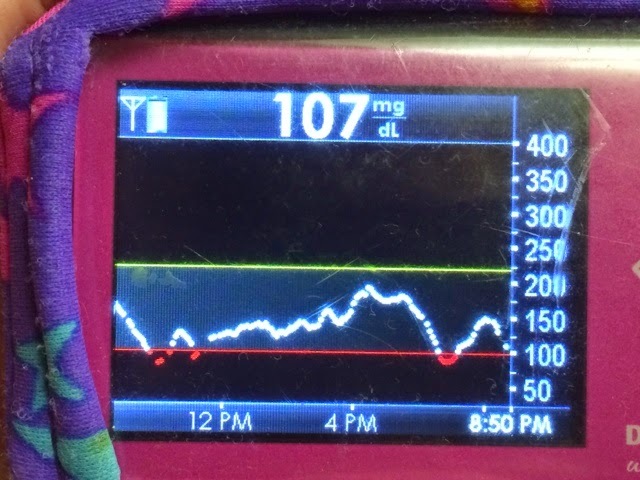 Death of a Pancreas: DBlog Week: Can I? Positive side? 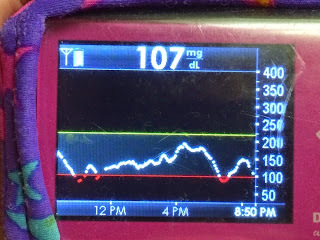 If you had asked me about 7 years ago if there was a positive side to diabetes I would have laughed in your face. Then maybe kicked you in the groin for being so insulting. Heck, even 4 or 5 years ago it was still a battle. But these days my baby with type 1 is not a baby anymore. Not even a toddler. And with her growing up, we have "grown into" (for lack of a better word) her diabetes. Is it still hard? Some days, yes. So. Very. Yes. But it is better. Or maybe we're better. The technology is definitely better. And when you put all these things together, we are doing things that I never thought possible back on September 6, 2008. We travelled... first a short hop to Kansas City, but soon after to Canada. Portugal. San Francisco. Orlando x 2. We added to our family. Two more times. She went to preschool, where nobody had any experience with type 1. And rocked it. 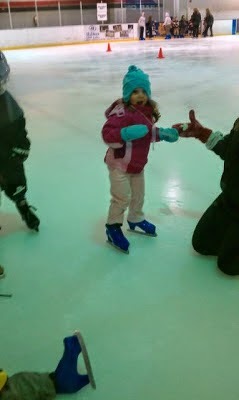 She's done skating lessons, swimming lessons, dance, soccer, gymnastics, and hockey. We have walked, raised money, raised awareness, and educated. And much, much more. These days when I think back to that scared Mom, sitting in a dreary hospital room clutching her baby tight in her arms, I can close my eyes and remember exactly what was running through her mind; "Can I do this? I don't think I can." Almost 7 years later, the answer is: Absolutely, I Can. And so can this girl. What a great post! I think of my Mom often and what she had to have felt all those years ago when I was diagnosed at age 7 (in 1974). I'm sure her thoughts were similar to yours (although I was older at diagnosis than your daughter). Thanks for letting me into your thoughts and understanding what hers may have been as well. There are tears in my eyes right now!! I feel so lucky to know you both (and the rest of your family too). You all rock and thank you for showing us all what can be done!! Simply an awesome D family! Way to rock it Elise! Great post. Glad to see you and your daughter overcame the beginning fears and are now rocking it! Aww I love all the photos! She's adorable. Great post! I love this! I love seeing kids thriving with diabetes! This is an absolutely beautiful story. Universal but still so uniquely you guys. I think it should be in the Welcome to Diabetes package CDE's hand out at the hospital. Of course you can. You are rock stars!